My Urban Trek quilt made it back home today! 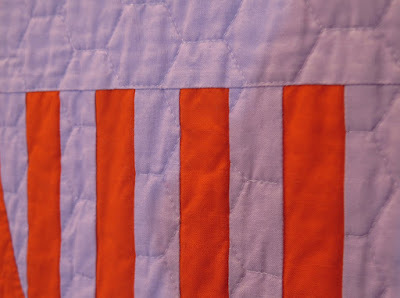 As promised here are some additional photographs of the quilt. 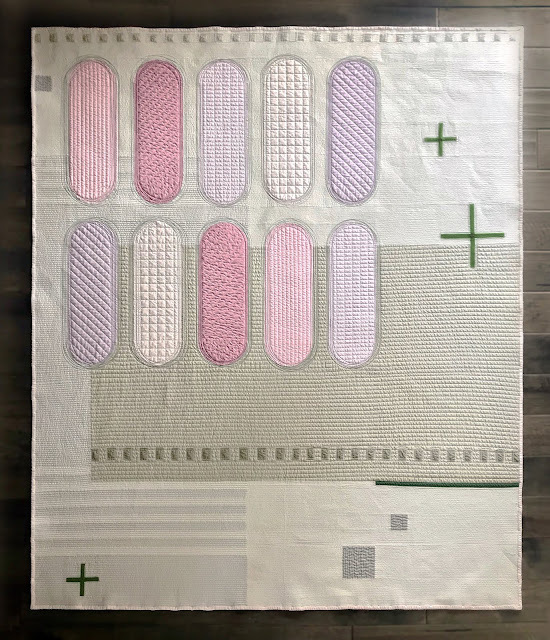 When I designed this quilt I didn't have a specific theme in mind and honestly naming my quilts is very difficult for me. I'd liked to say there is a deep meaning to each quilt that shares a bit of who I am but I can't say that beyond I love quilts. More than anything I want the quilt's name to describe the inspiration behind the design or sum up a theme in a few short words. As said before I didn't have a theme for this quilt when I designed it. It wasn't until I'd pieced the top that I began to see the urban city sights theme emerge, hence the name Urban Trek. I began to see stop lights, man hole covers, cross walks and sky scrapers. 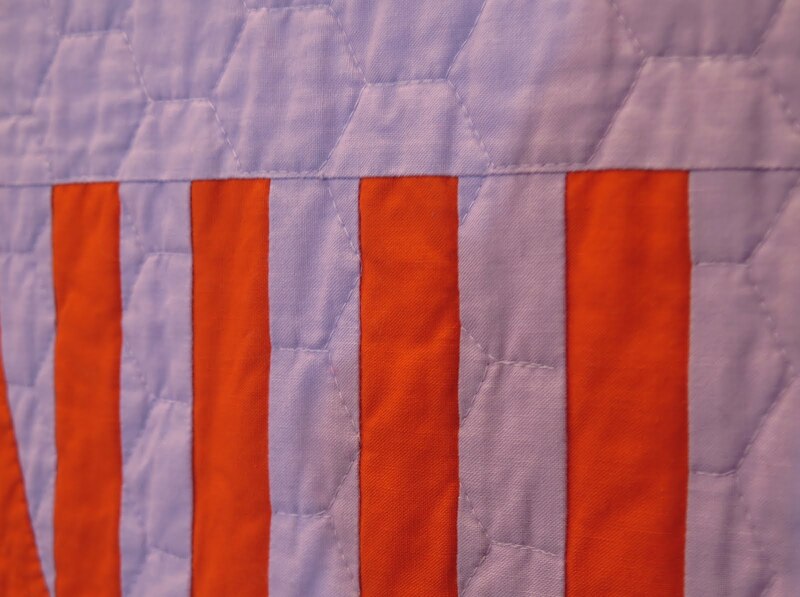 That's when I chose the quilting design to reflect that same textures of the city. 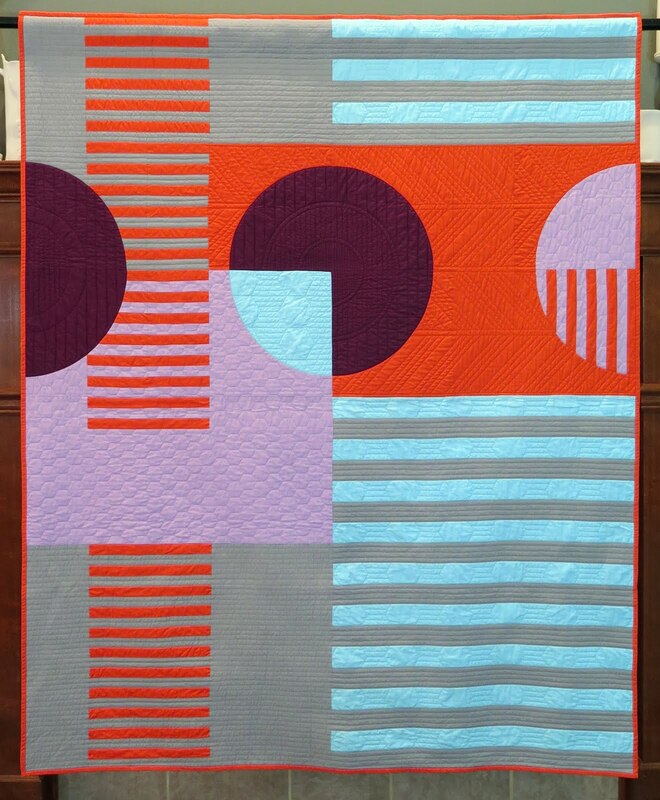 Next month is Quiltcon and my guild, INMod Quilt Guild, is hosting an unofficial Quiltcon Spokane sew day the same weekend. 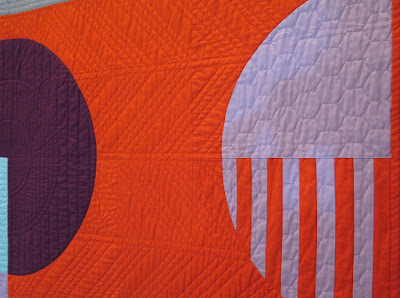 Our guild president has asked me to do a brief class/lecture on designing modern quilts. 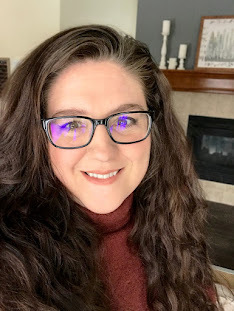 I've had an outline rattling around in my head for a few months now so I'm hoping whatever the outline turns into will be helpful to other people. After I present it to the guild I put a mini version on my blog. 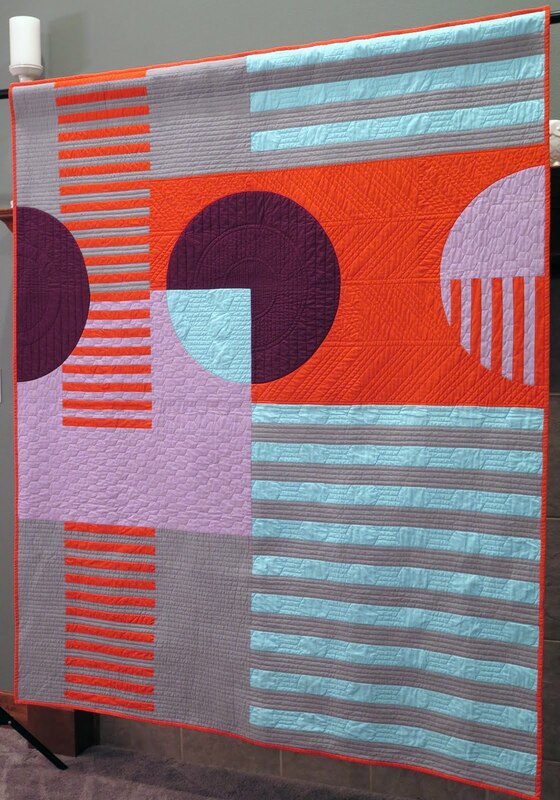 Heather: i just love this quilt! I especially like the light lavender and plum colors with the red/orange. Can we use these colors for the INMOD Raffle quilt. I think it would be amazing to do a spiderweb or pineapple quilt with these colors! Hi Jane! Thanks for visiting my blog 😊 It sounds like Haven would be up for the purple and of course you know I already like it!! I REALLY like this quilt! Such interesting color and shape! I'm anxious to see your post after your presentation. Thanks Debbie! I'm anxious too 😉.